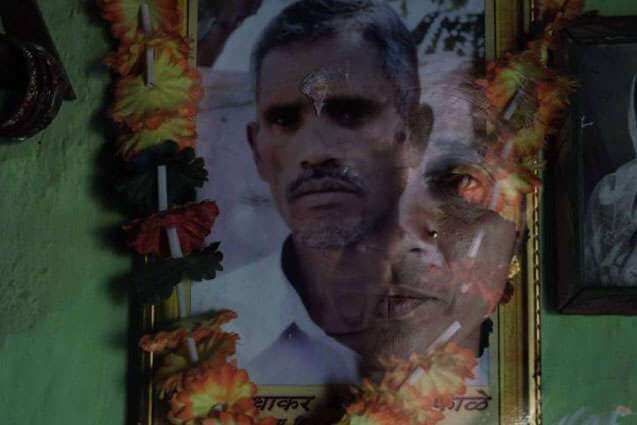 The National Crime Records Bureau (NCRB) has just released its Accidental Deaths and Suicides in India (ASDI) report, the major source of information on farmers’ suicide in the country, which has drawn some attention like every year. According to the new data, 12,602 people engaged in the farm sector committed suicide in 2015, about 2% more than in 2014, highlighting the growing distress in rural India as it was badly hit by consecutive years of drought and other natural calamities. The report shows that the share of farm suicides in total number of suicides has increased from 8.7 to 9.4% when compared with data of 2014; while there is a 7% increase in the number of farm suicides compared to 2013 when 11,772 farm suicides were recorded. In fact the number is highest since 2012 as many states reported highest numbers since then. A significant trend to be seen in the data is that seven states — Maharashtra, Karnataka, Telangana, Madhya Pradesh, Chhattisgarh, Andhra Pradesh and Tamil Nadu — reported high number of suicides and this proportion is increasing over the years. In 2015 the number of farm suicides in these states comprised 87.5% of all farm suicides in the country. It was 68.4% in 2011. The states with the highest concentration of farm suicides are known for agrarian crisis. Factors like increased input costs, mounting debts, economically and environmentally unsustainable agricultural practices, lack of industrial growth and lack of alternative livelihood options are considered to be the key reasons behind the increasing farm suicides. The trend also suggests that the governments in those states need to review the measures they have been taking to address the issue. On the other hand certain states reported significant decline in the number of farm suicides. More than five states (Gujarat, Kerala, Odisha, Rajasthan and West Bengal) reported a decline in the number of farm suicides ranging from 30% to 79%. However, NCRB does not delve into the reasons for the fluctuations in the data. It has been analyzed that there could be many factors such as lack of reporting by many states to avoid mounting pressure from the public and political blocks or methodical and technical issues related to counting. There are more than 10 such states that reported zero suicides in the past five years. Bihar, Goa, Himachal Pradesh, Jammu & Kashmir, Jharkhand, Mizoram, Nagaland, Uttarakhand and West Bengal along with all 7 UTs have reported nil incidences of farmers/ cultivators suicides during 2015. Even in case of Punjab, the state level survey found 5000 farm suicides between 2001 and 2010, while the NCRB data reported only 648 suicides during this period. The ADSI report presents the data in both the categories of farmers/ cultivators and agriculture labourers (this break up was introduced in 2014). However, the number of cultivators who committed suicide has increased by 41.7% from 5,650 in 2014 to 8,007 in 2015; while the number of agriculture laborers who committed suicide strangely declined by 46% from 6,710 in 2014 to 4,595 in 2015. This needs further exploration to understand the phenomenon. However this pattern is not same in all the states. While some states reported an increase in the number of farmer suicides, some reported increase in suicides by agricultural labourers. The difference could be due to the fact that there is a very thin line between a cultivator and agriculture labourer, and it’s difficult to be captured by any official source. This could also because much of the tenancy in rural areas is hidden and not reported. Many of the labourers could also be unidentified or unregistered farmers. A recent survey by farmers groups Rythu Swarajya Vedika (RSV) in Telangana had stated this fact and said that more than 70% of the farm suicides are committed by tenants. However, this needs further exploration to understand the reasons for the changing patterns. Further, the ADSI report provides break up in terms of reasons for suicides, age and landholding size. Three important findings are in relation to reasons, proportion of females and landholding status of the cultivators and agriculture labourers who committed suicide.Women farmers and labourers comprise around 8% in the total farm suicides. 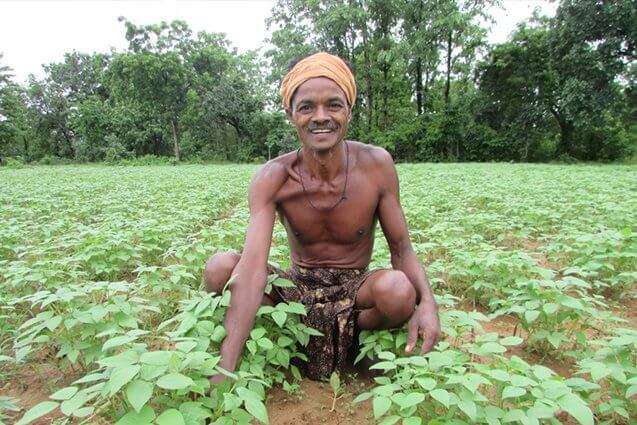 In the context of no recognition of women as farmers, the number could be an underestimate. However, among the states, Gujarat (18%), Odisha (14%), Tamilandu (25.9%) and Uttar Pradesh (15.4%) reported more number women farmers/labourers who committed suicides. The proportion of females who committed suicides is more among agriculture labourers than among cultivators. Land holding status of farmers who committed suicide during 2015 revealed that 72.6% of these victims are marginal or small farmers (5,813 out of 8,007). As far as reasons are concerned indebtedness or bankruptcy (38.7%) and farm related issues (19.5%) continue to be the major factors leading farmers’ suicides. Huge indebtedness has been reported in many cases of farm suicides from across the country. The average debt of the farmers in some of states is up to one lakh and in many of the cases of suicides the loans amount was reported as up to the tune of Rs.5 lakhs. The escalating costs of cultivation and land leasing coupled with absence of minimum price and lack of access to loans and other inputs has been contributing to the mounting rural farm crisis. Innumerable committees and reports with voluminous pages of analysis and recommendations are available. It is not dearth of recommendations and solutions available but the lack of political will to rescue the farming sector by recognizing it as the primary livelihood support for the millions of the rural families. Income assurance for cultivators and compensations and rehabilitation for the families in distress could be taken up as immediate and long term strategic solutions for addressing the crisis. It won’t be unfair to demand a farmers’ income guarantee mechanism on the lines of employee income commissions. Millions of farmers who are producing food and subsidizing the society at large but incurring losses and committing suicides is an unfortunate phenomenon that deserves the immediate attention of the state. The total number of suicides took place in the past 20 years had reached to 3,21,428. Many field studies had found that the crisis had impacted these families badly and there are many issues in identifying such families and extending support to these families to overcome the extreme crisis of losing the bread winner, leaving them with huge debts. Very few states had evolved support mechanisms for helping these families to revive and restore their livelihood support systems. Some of the states like Telangana and Andhra Pradesh have increased the compensation for farm suicides from 1.5 to 6 and 5 lakhs respectively. Some other states like Karnataka, Maharashtra and Uttar Pradesh have also evolved monetary and other support systems for families ridden with suicides. The demand is not for another commission to understand and recommend solutions, but a strong political will to act upon the existing recommendations put forth by more than 50 committees on agrarian crisis. Political will and concrete steps on assurance of farmers’ income commission and immediate support to distress families ridden with farm suicides are necessary now.